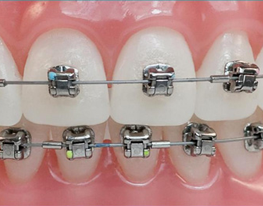 Orthodontics is specialty of dentistry that is concerned with the study and treatment of malocclusions (improper bites), which may be a result of tooth irregularity, disproportionate jaw relationships, or both. Orthodontic treatment can focus on dental displacement only, or can deal with the control and modification of facial growth. Orthodontic treatment can be carried out for purely aesthetic reasons with regards to improving the general appearance of patients’ teeth.. Orthodontic problems are usually apparent by the age of seven, when most of the adult front teeth have erupted. However, your dentist may detect an orthodontic problem earlier. Early examination allows the orthodontist to detect and evaluate problems and to plan an appropriate treatment schedule.Early treatment may prevent more serious problems from developing or make treatment at a later age shorter and less complicated. Early treatment may also achieve results that are not possible once the face and jaws have stopped growing. 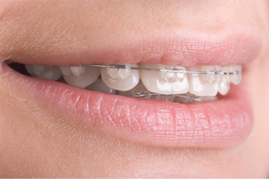 Latest developments in orthodontics are basically as follows; transparent wires and ceramic braces,lingual braces that are applied on the interior surfaces of the teeth and the invisalign technique that performed by means of the invisible aligners.